Colombia Coca-Cola, first painted in 1976 and later proliferated in different sizes and formats, presents the name of the artist’s country in the iconic Coca-Cola script. Caro’s recycling and subversion of ubiquitous logos like this one derives from his experience working for an advertising agency in the early 1970s. Here the superimposition of nation and logo points not only to a history of U.S. imperialism in the region, but also to how the line between “us” and “them”—consumers and producers—has become blurred. 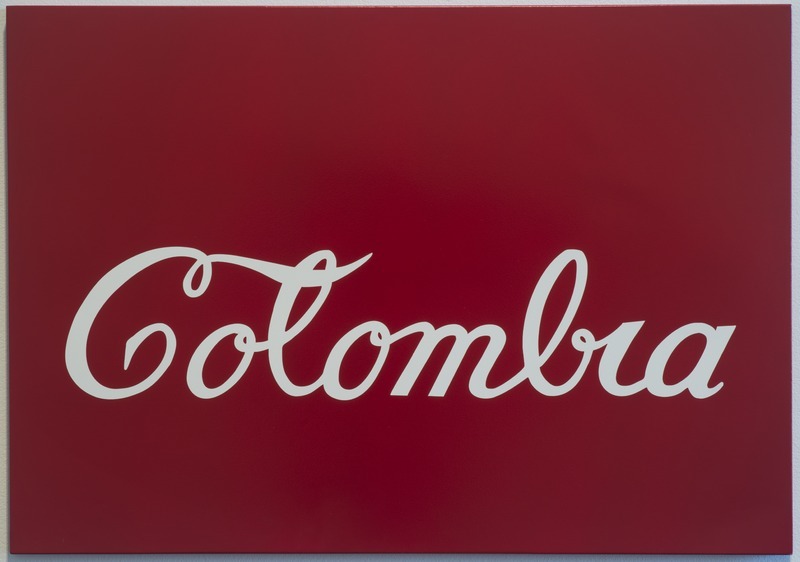 Antonio Caro, “Colombia Coca-Cola,” Blanton Museum of Art Collections, accessed April 26, 2019, http://utw10658.utweb.utexas.edu/items/show/2944.